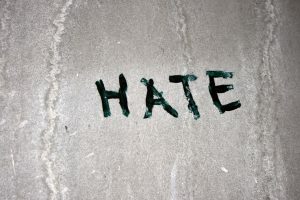 HATE CRIME – DEFINITION: Any unlawful action designed to frighten, harm, injure, intimidate, or harass an individual, in whole or in part, because of a bias motivation against the actual or perceived race, religion, ethnic/national origin, sexual orientation, gender, or disability of the victim. Protect yourself. Defuse the situation if at all possible. Do not respond to taunts. Call 911 immediately. Consult this information and state you are reporting a hate crime. Note the physical descriptions of the suspects in as much detail as possible. Write down everything that was said and done, including the time and location. Get involved. Be a witness if someone else is a victim. If you know the suspects, ask about obtaining a restraining order. Stress that the crime was motivated by hate based on perceived sexual orientation. You do not have to reveal your sexual orientation to report the crime and you should not be asked to. It is the suspect’s perception that matters. Whether or not the perception is correct is irrelevant under the law. Get the report number from the responding officer. 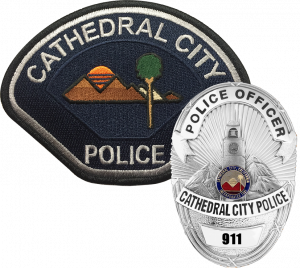 It is the policy of the Cathedral City Police Department to ensure that the rights guaranteed to all, irrespective of their race, religion, ethnic/national origin, sexual orientation, gender, or disability are protected. Any acts or threats of violence, property damage, harassment, intimidation or other crimes designed to infringe upon those rights will be handled with the utmost priority. Particular attention shall be given to addressing the safety and related concerns of the victims as well as their families and others affected by the crime.